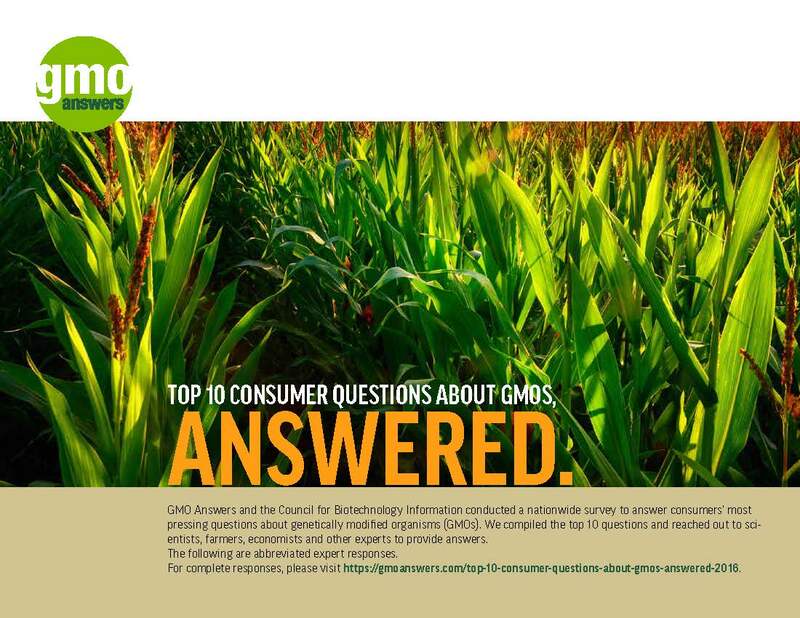 GMO Answers was created to answer your questions about GMOs and make information about GMOs in food and agriculture easier to access and understand. 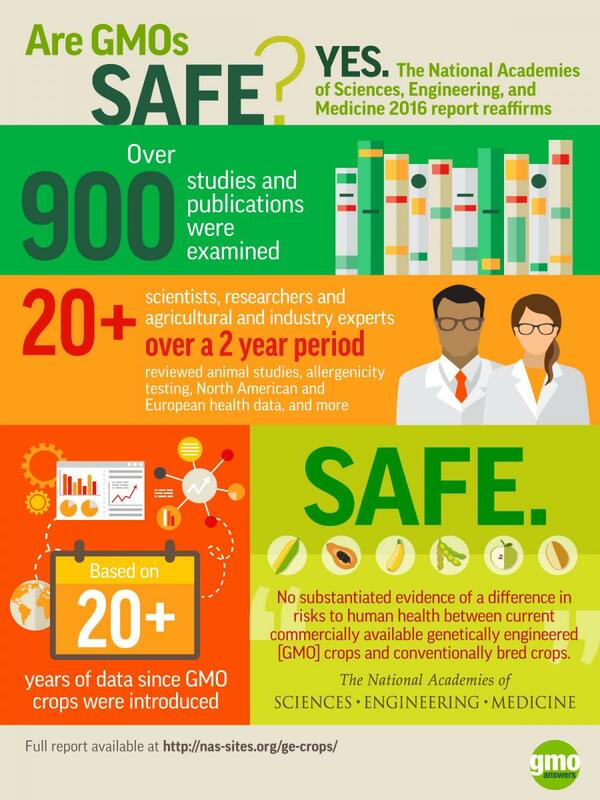 From explaining how GMOs are made and used to providing information about their health and safety, we aim to provide you with important facts about GMOs. 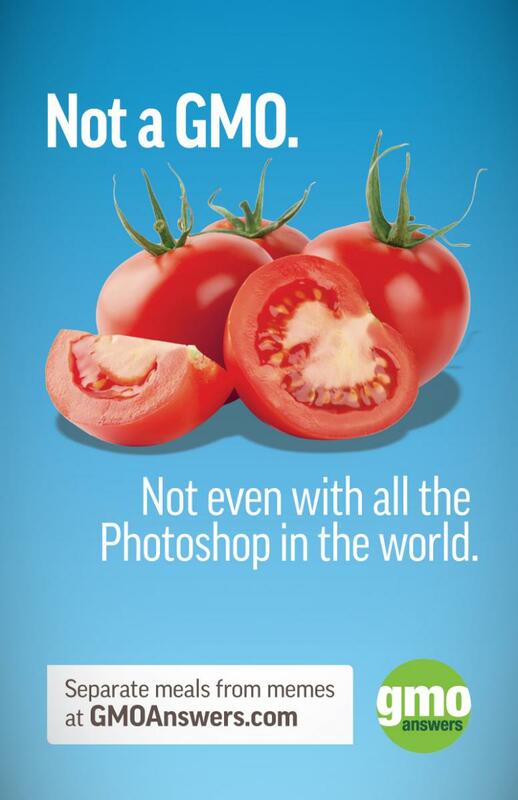 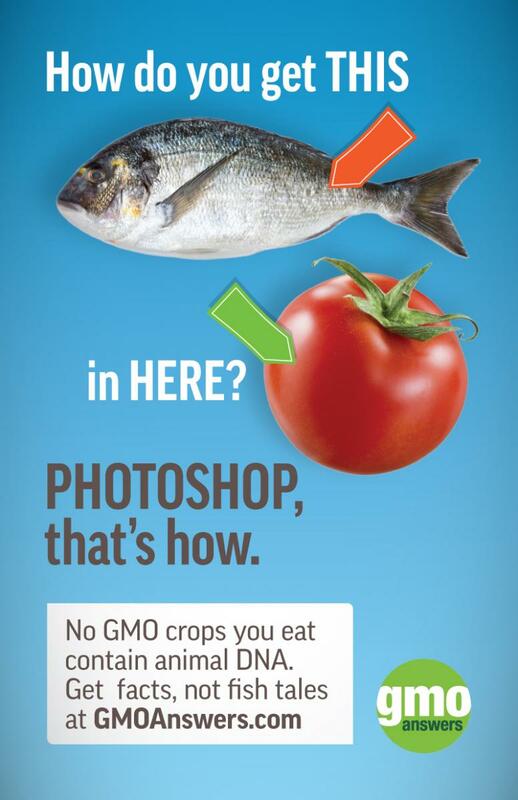 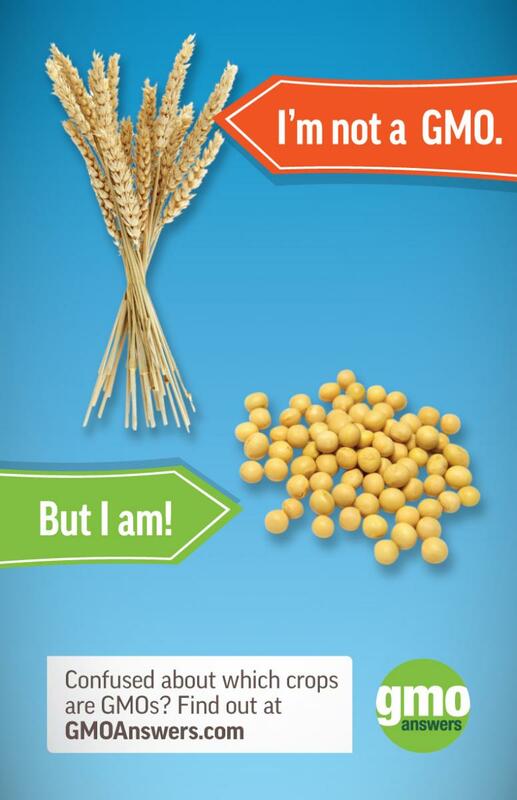 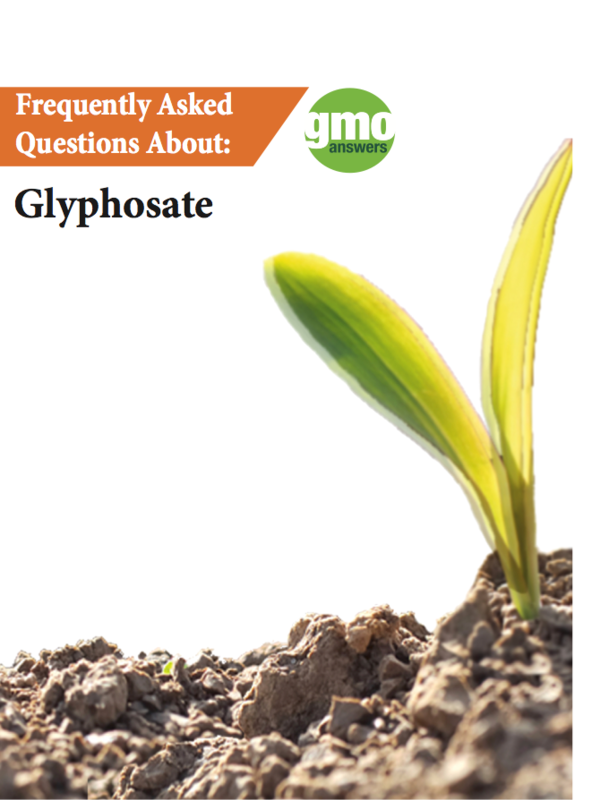 Here you will find materials that can be downloaded, printed and used to help you communicate about GMOs. 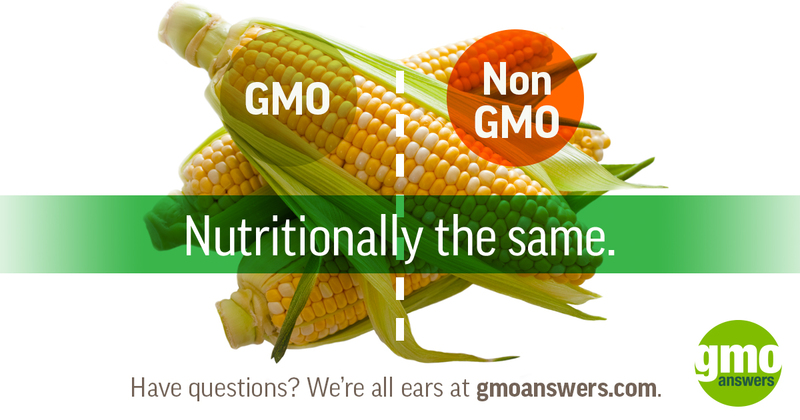 A guide providing expert answers to common questions about the role of GMOs in animal agriculture. 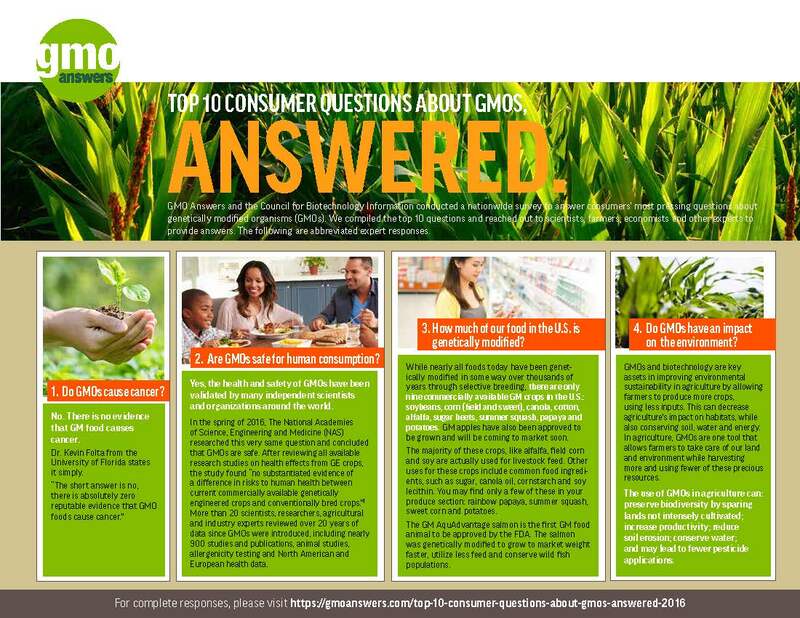 A palm card with answers to top consumer questions and effective ways to have open dialogue. A presentation with answers to the top 10 consumer questions from scientists, farmers, economists and other experts. 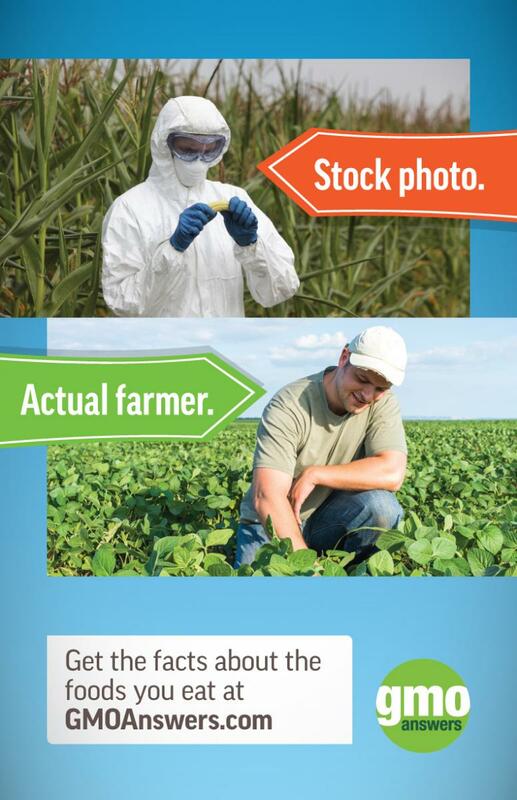 A handout with answers to the top 10 consumer questions from scientists, farmers, economists and other experts. 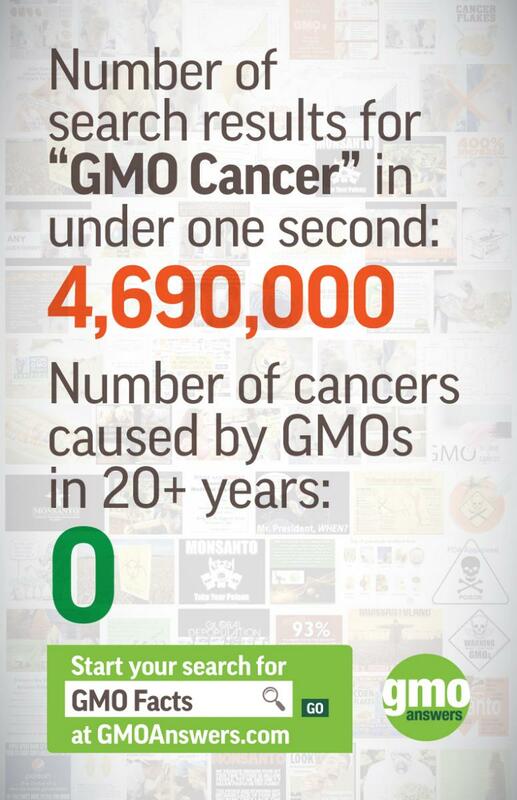 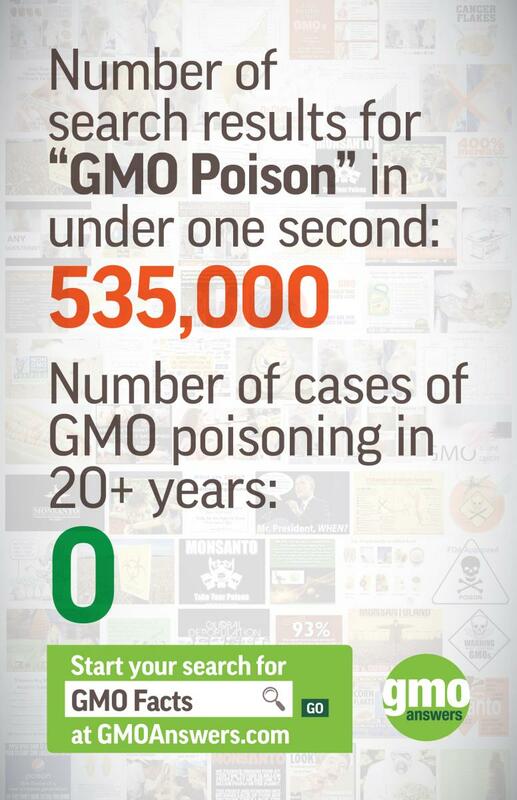 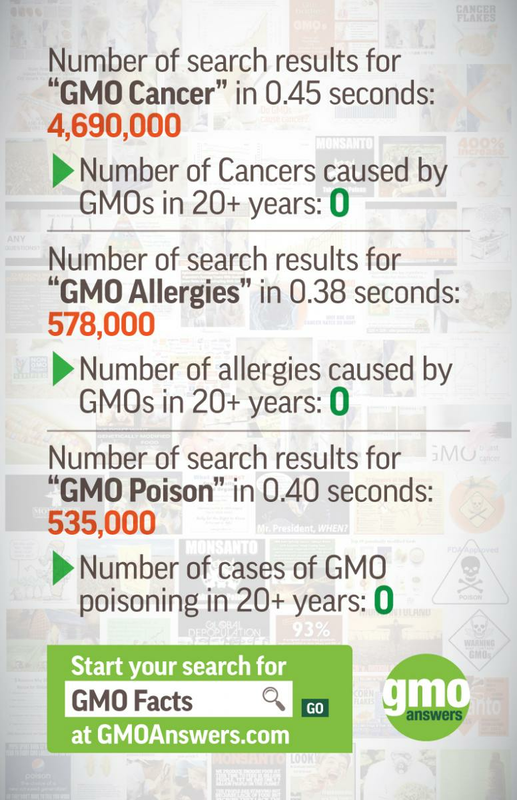 the health and safety of GMOs. 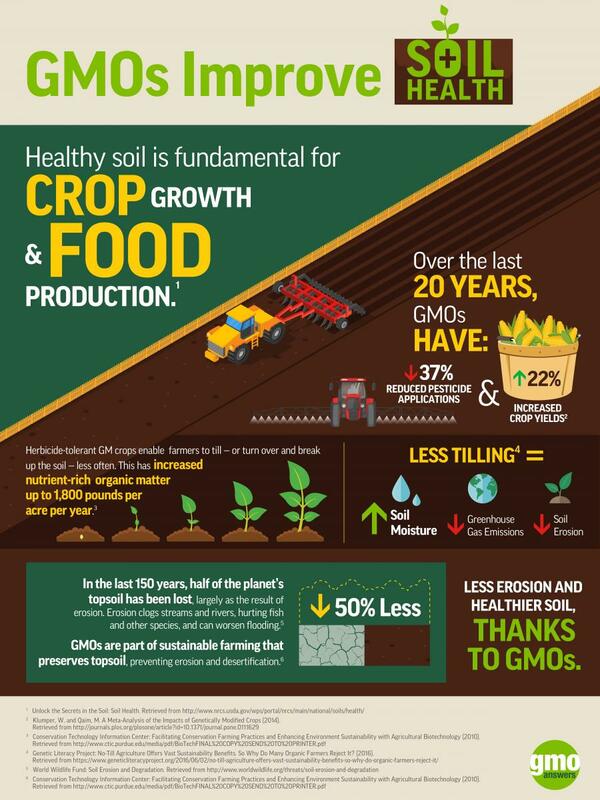 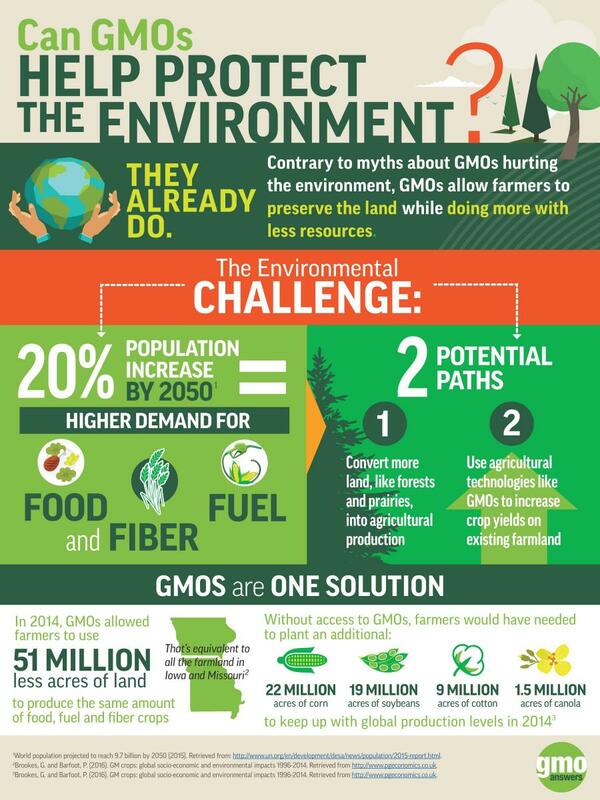 Learn how to better understand why farmers are choosing to plant GMO crops and the environmental benefits. 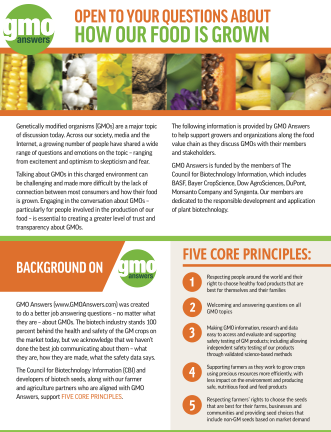 A handout with information about GMOs including everything from the health and safety of GMOs to a look at how they are made. 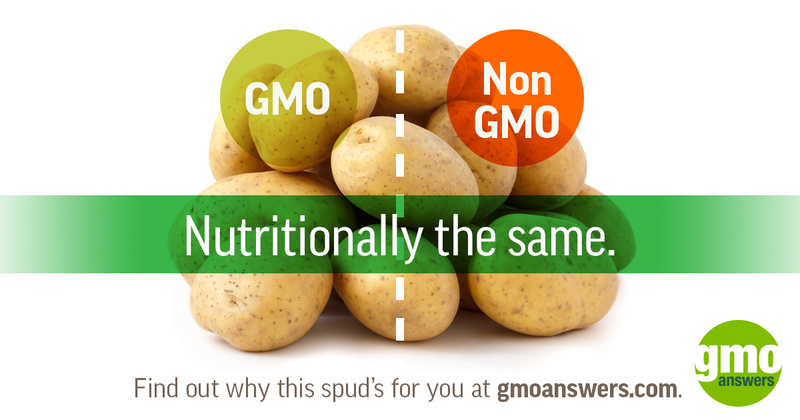 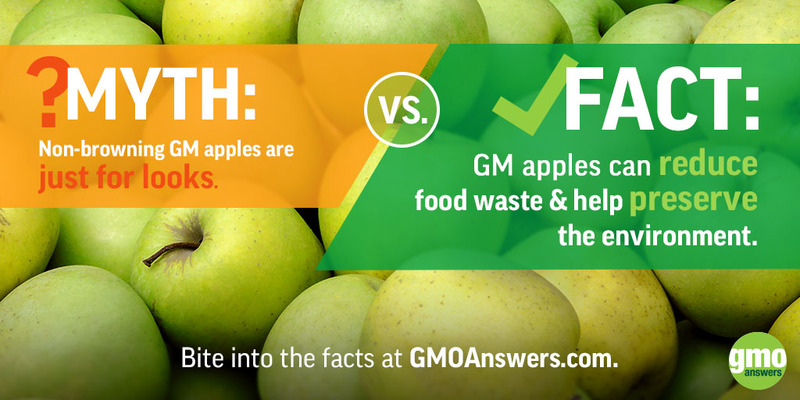 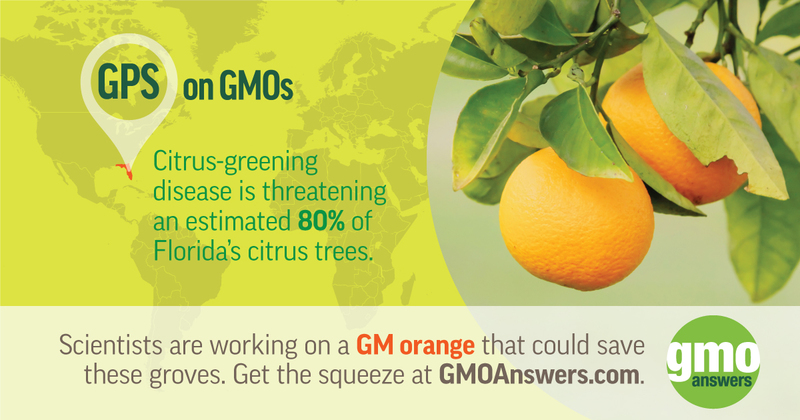 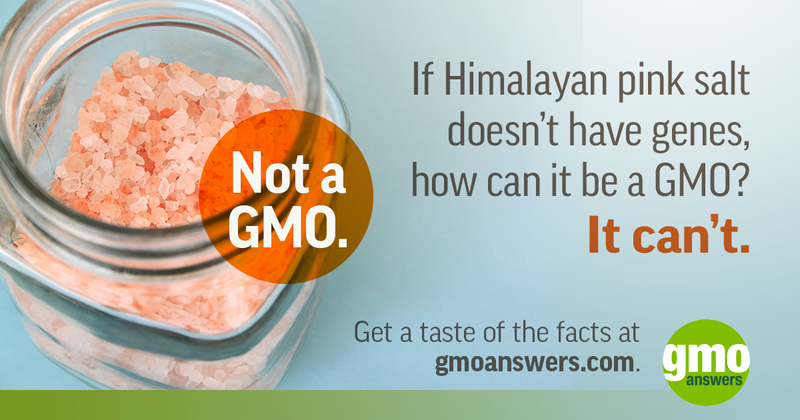 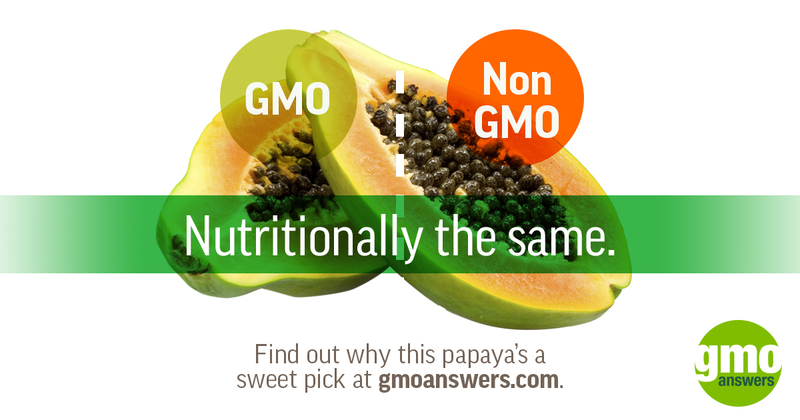 to the original questions submitted to GMO Answers are included at the end of each response. 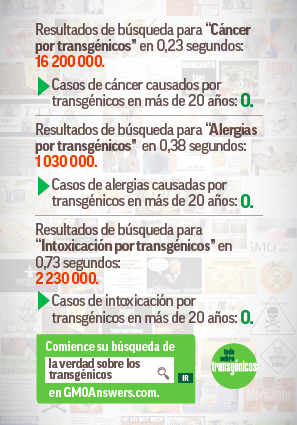 resources we provide. 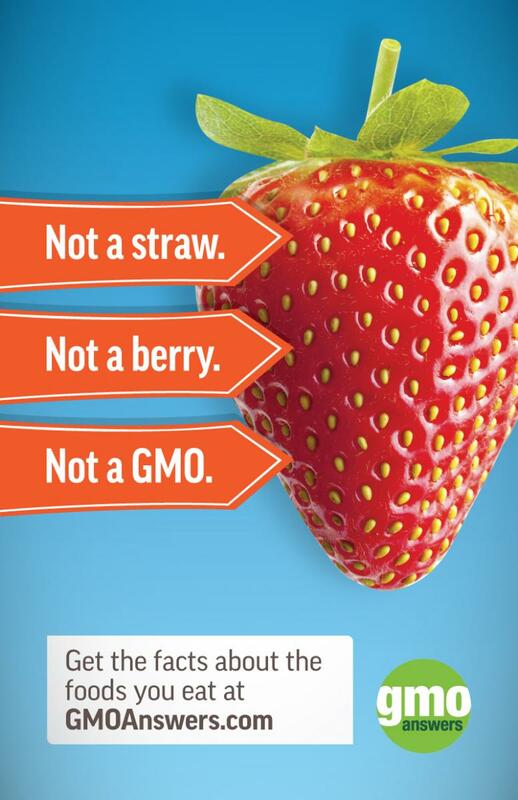 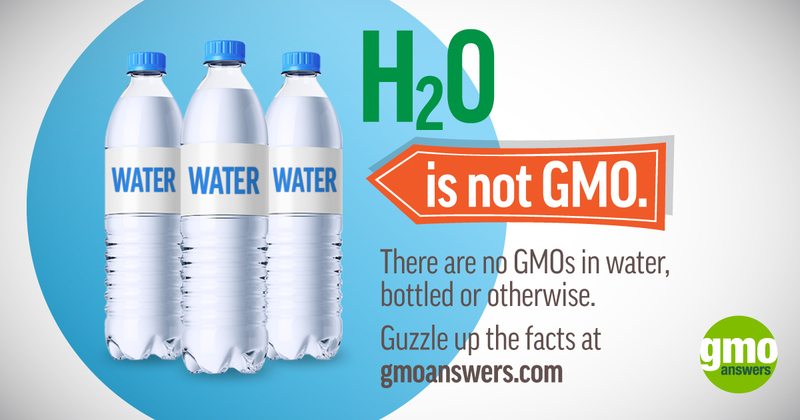 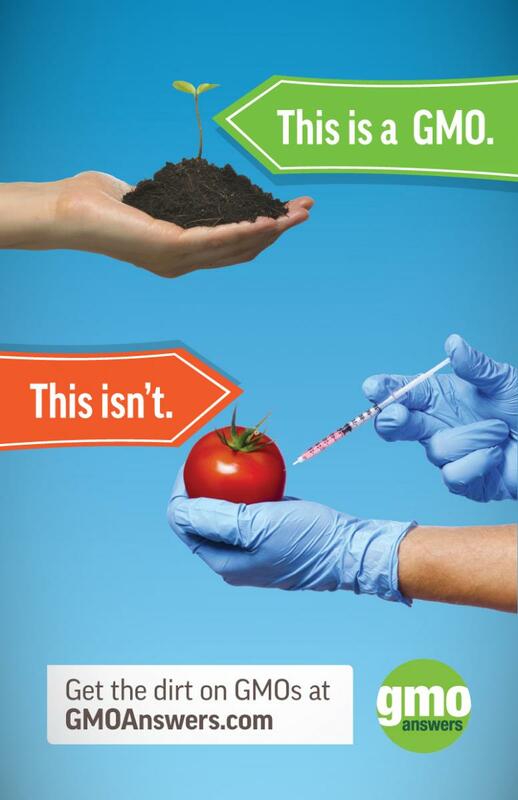 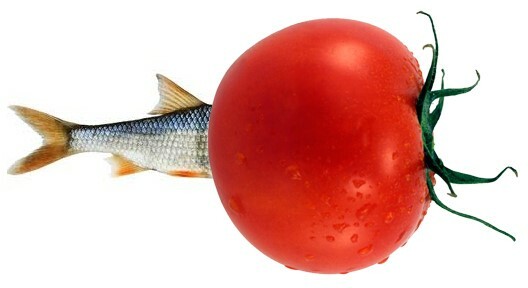 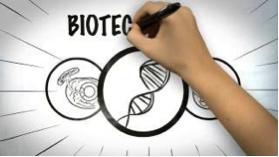 The second section covers common misconceptions and the basics and science behind GMOs. 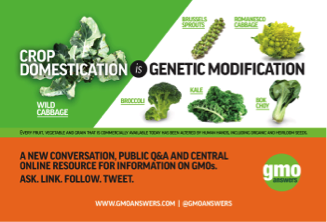 Informational card about genetic modification and links to additional resources for information. 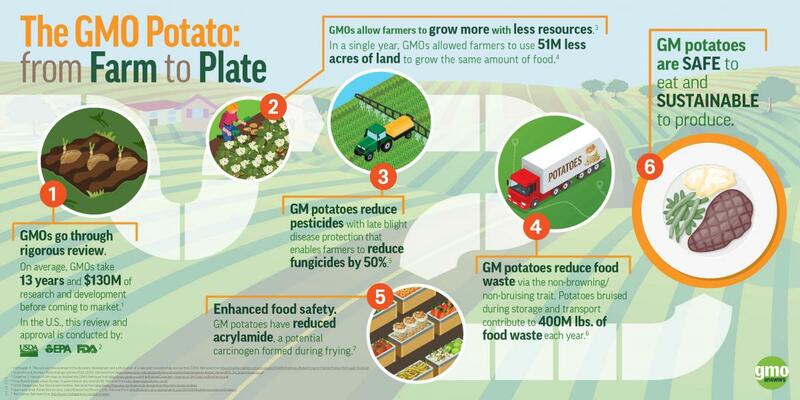 GMO Genetic Traits Expressed In GMOs In The U.S.
Informational card on genetic traits of GMOs and how they are used in the U.S.
What Would Food Production Look Like Without Science? 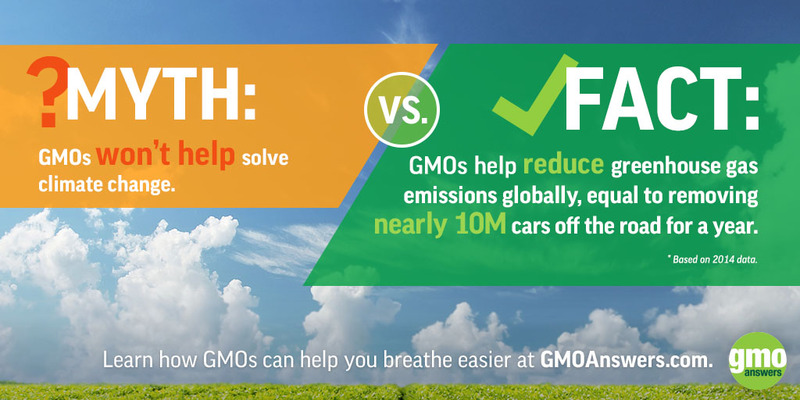 Can GMOs Improve Our Air Quality? 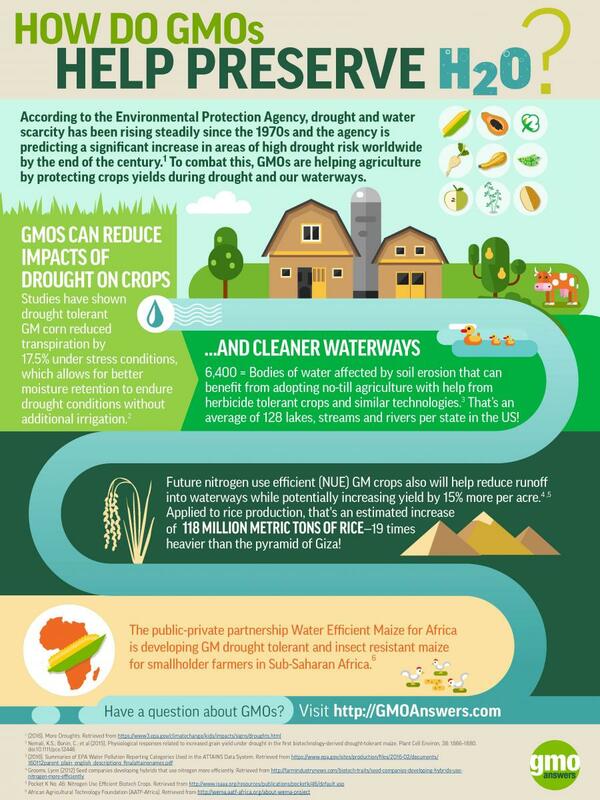 Infographic: How Do We Preserve Our Habitat? 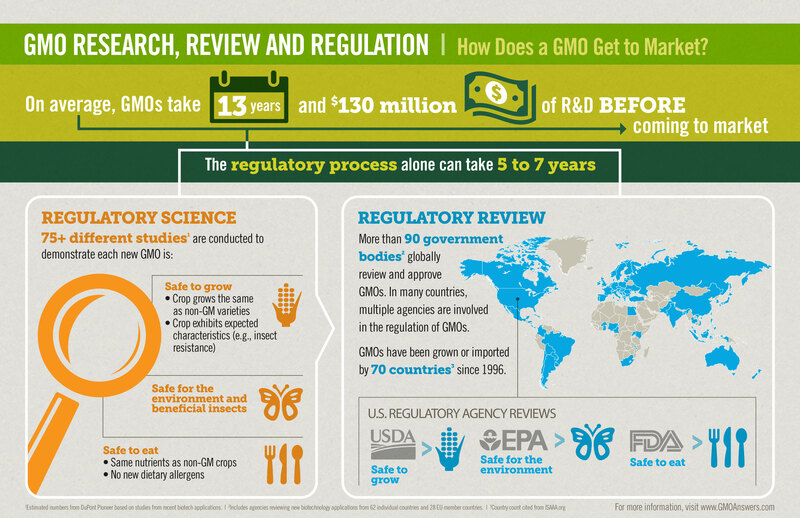 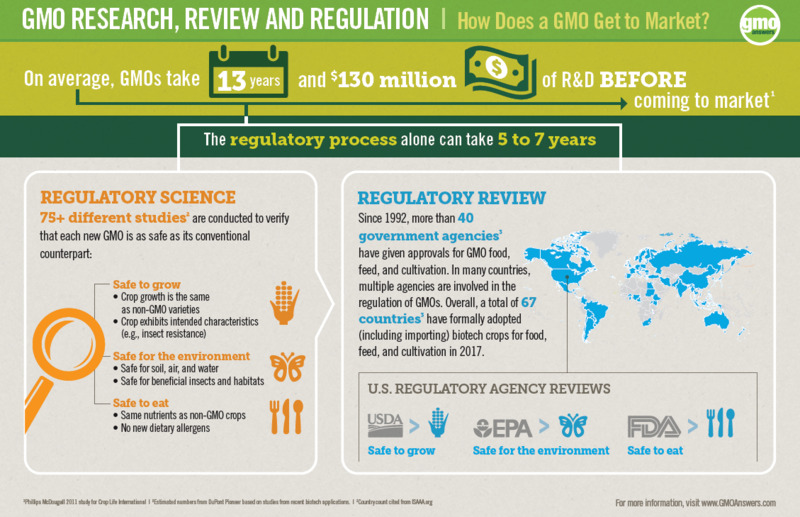 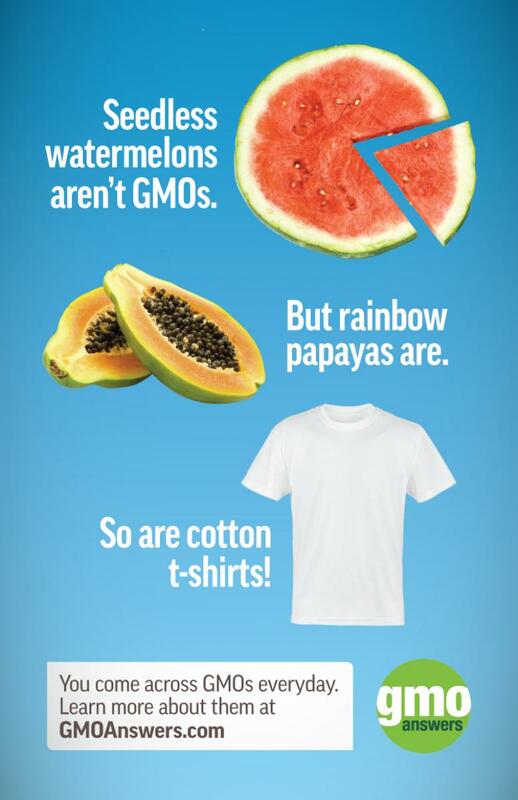 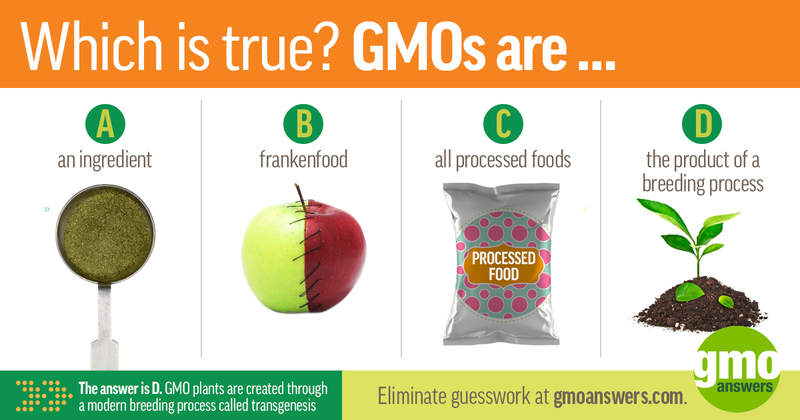 Infographic: What Is A GMO? 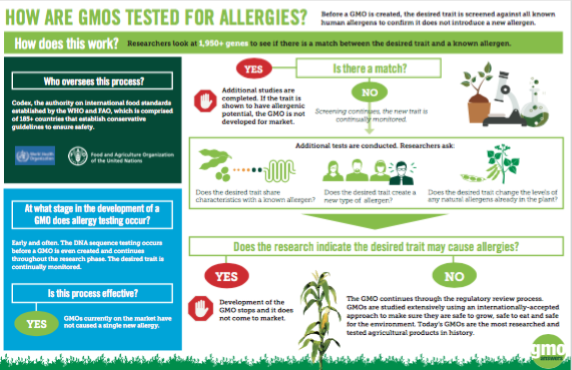 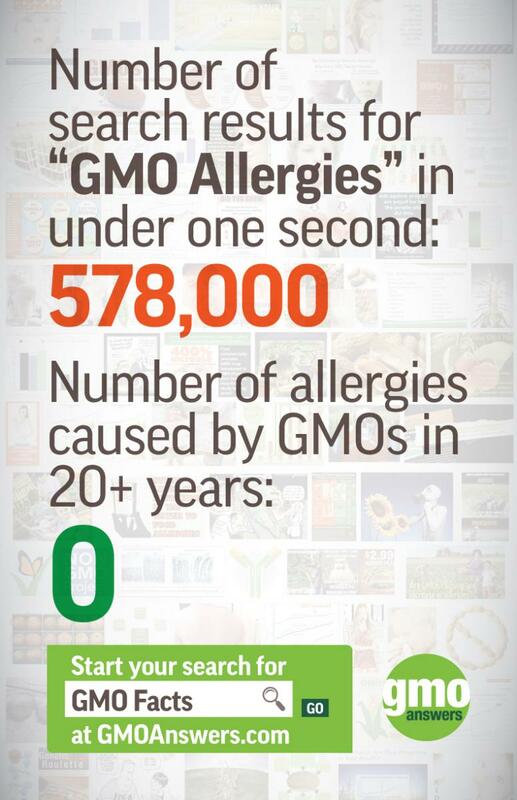 Infographic: How Are GMOs Tested For Allergies? 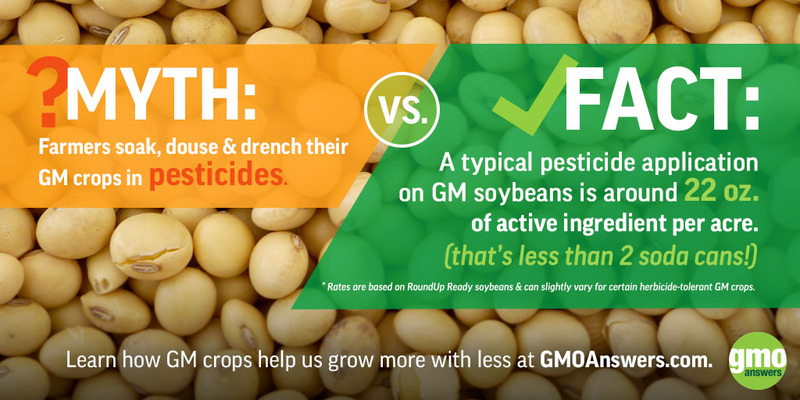 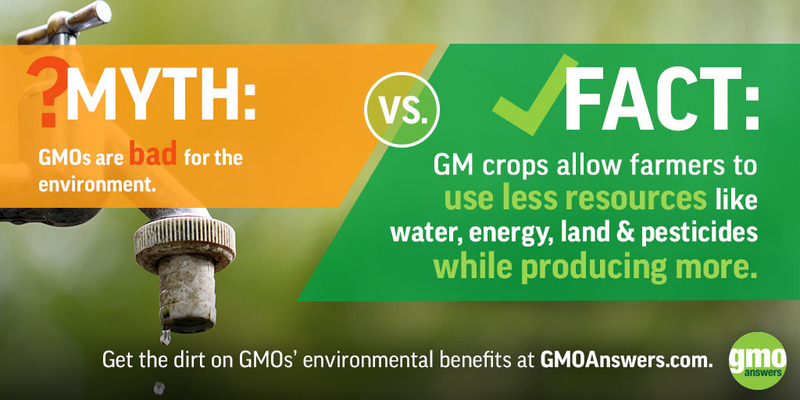 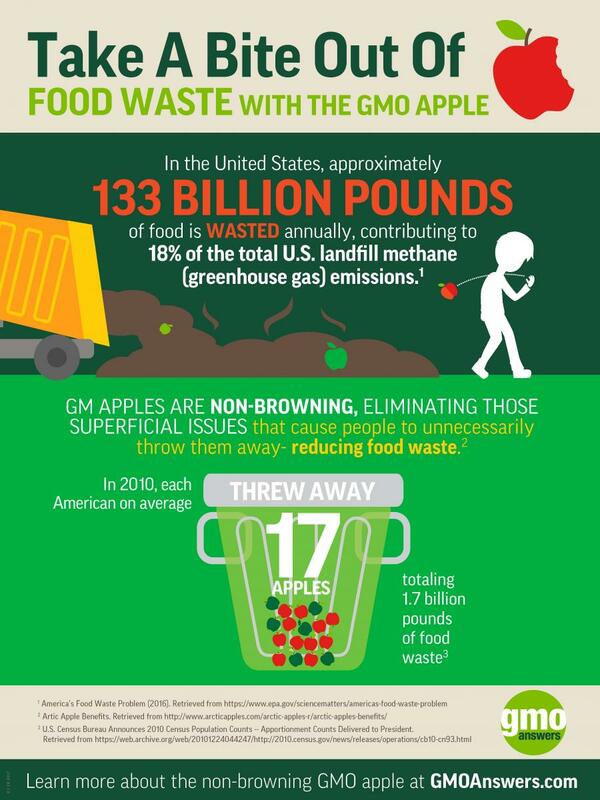 Infographic: Can GMOs Help Protect The Environment? 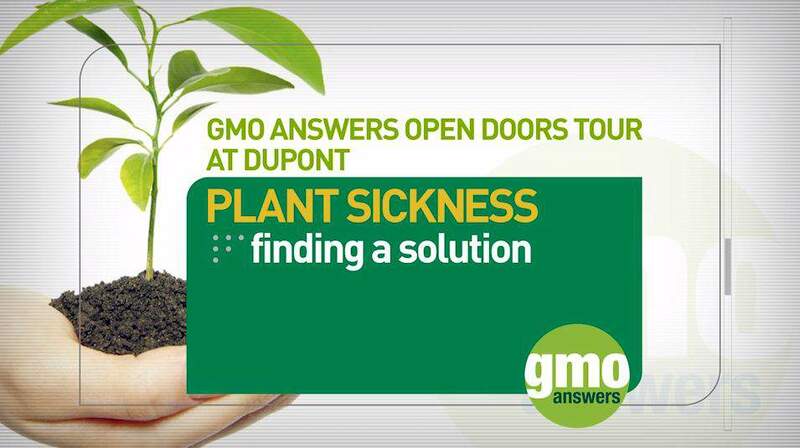 How do we create new and improved varieties of plants? 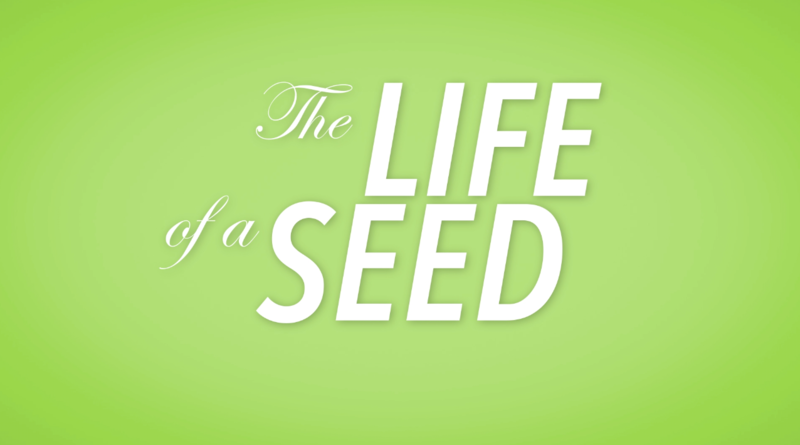 It starts with the seed. 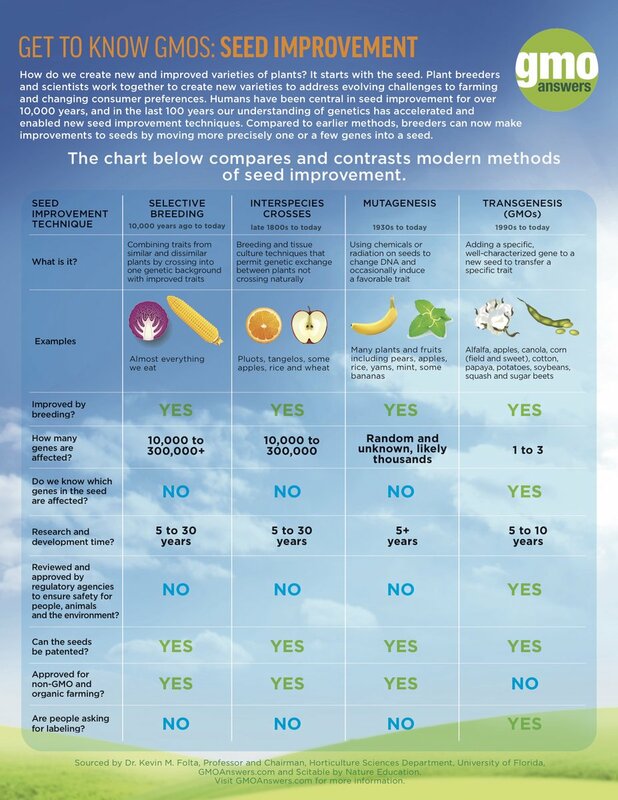 This chart compares and contrasts modern methods of seed improvement. 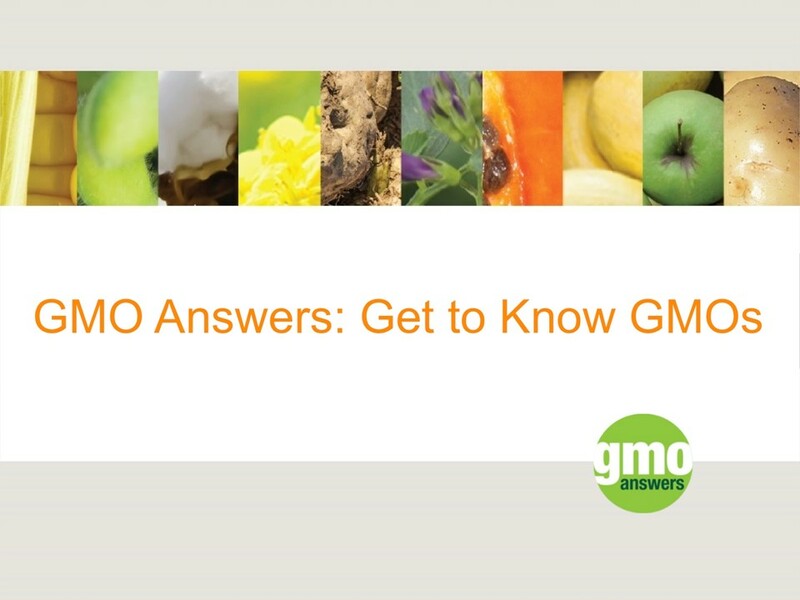 Check out our informational videos below and on the GMO Answers YouTube Channel. 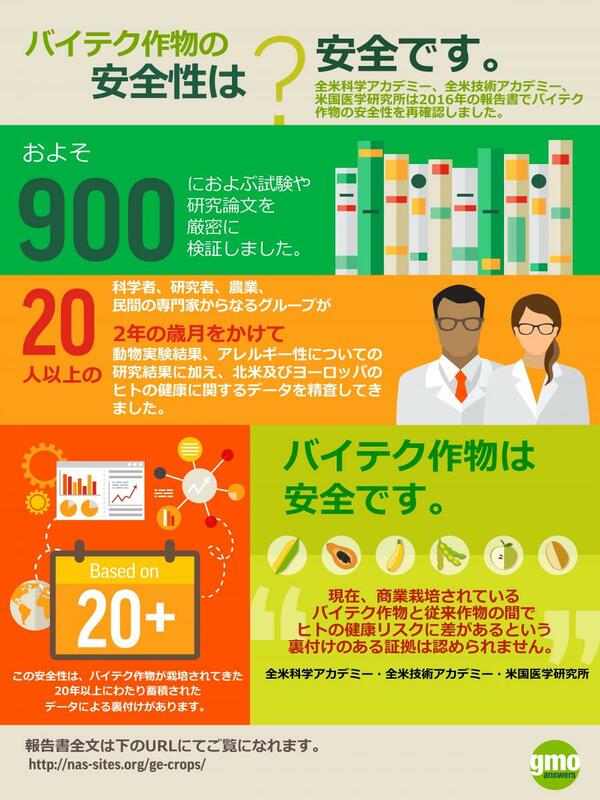 International resources available in Chinese, Vietnamese, Portuguese, Spanish, French, Korean and Japanese.